We spend so much time doing our best work on the outside — working on our bodies, careers, relationships, cooking skills and goals. It’s just as important to spend time doing work on the inside — developing deep and lasting self-love, acceptance and compassion. The more we can make ourselves feel whole and worthy as individuals, the more we have to give to the world. 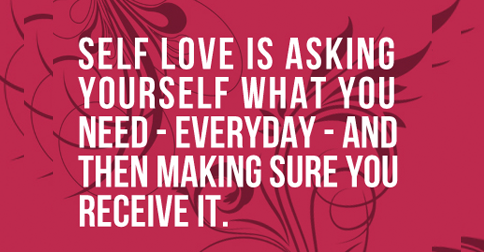 With this in mind, here are eight beautiful and effective ways to increase your self-love. Get enough sleep to feel revitalized; attend a yoga class or go for a run; fill your fridge with healthy whole foods; drink plenty of water; and schedule in time for fun, adventure or relaxation. Value yourself enough to make self-care practices a regular part of your routine. 2. Use Emotional Freedom Technique (EFT). This is a healing tool where you tap on specific parts of your body while repeating a mantra or affirmation. If you’re feeling anxious or self-critical about a particular issue or problem, you can use EFT to release your negative emotional energy and re-establish inner calm and peace. Use the mantra, “Even though I (insert your problem), I deeply and completely love and accept myself”. 3. Connect with your inner being. We spend most of our lives basing our worth on our titles, roles and achievements. We identify with our successes and failures, relationship status, job title, bank balance and titles as if they tell the complete story of who we are. Your true identify is something deeper and more eternal than your fluctuating circumstances. You are inherently divine, beautiful, worthy and deserving — no matter what is going on in your world. Make time to connect with your inner spirit, your eternal self, through meditation, yoga, journaling or getting lost in an activity you love. 4. Learn to empathize with and root for yourself. Our inner voice can be a critical and demanding taskmaster. We speak to ourselves using harsh words we would never dream of directing towards other people. 5. Respect your uniqueness and allow your authenticity. We cause ourselves so much pain and suffering when we stifle our true nature and ignore our burning desires and dreams, for the sake of fitting in with the status quo and meeting the expectations of others. You are a one-of-a-kind unprecedented human being. There will never again be someone quite like you, and you are here to give the world your own special blend of gifts, passions, interests and quirks. Allowing yourself to show up to life as your authentic self is one of the most empowering things you can do, and it can profoundly enrich your relationship with yourself. 6. Give yourself the space to feel your emotions. When an event or person triggers a strong feeling of anger or pain inside of you, or you simply wake up feeling irritable for no reason, don’t beat yourself up for letting it get to you, or attempt to suffocate your suffering. Instead, try surrendering to the feeling. Observe where in your body you can feel the pain, with patience, love and an understanding that it is not who you truly are. It will soon fade if you don’t cling to it or exacerbate it with negative thinking. 7. Practice gratitude for yourself and your body. Instead of focusing on what you perceive to be ‘wrong’ with you, focus on all of the amazing things you do have to offer. Energy flows where attention goes, so the more you shift your perception towards your positive attributes, the more of them you will uncover. It’s also important to remember that your body is just a play thing for your spirit. Love it, have fun with it, take care of it and feel appreciation for all of the wonderful things it enables you to do, but don’t invest your self-worth in your appearance. You are not a body, you have a body – you are a soul. 8. Remember the common humanity you share with everyone. There is a common myth in our society that there is such a thing as ‘perfect’ and we should all strive to be it. The truth is we are all human, flawed and prone to making mistakes as we navigate the world and learn and grow from our experiences. Realize you’re not the only one who feels vulnerable, insecure and self-critical at times. We’re all fighting our own demons and trying to do our best. By remembering your common humanity you immediately take the pressure off yourself and no longer feel so isolated and alone. Elyse Gorman is a writer and life coach at NotesOnBliss.com and the creator of the Beautiful Life Bootcamp eCourse. For updates and inspiration, sign up now.